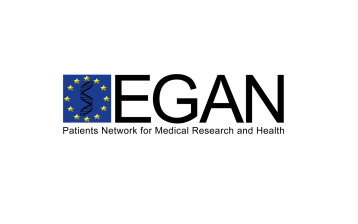 The Patients Network for Medical Research and Health EGAN is an alliance of both National Genetic Alliances and European disease specific patient organisations with a special interest in genetics, genomics and biotechnology. Especially, but not only, genetic disorders are represented within EGAN. EGAN is working for a voice in research and health policy and seeks a world in which genetic and other serious diseases are understood, effectively treated, prevented and the people affected supported. The Patients Network for Medical Research and Health EGAN is an alliance of both National Genetic Alliances and European disease specific patient organisations with a special interest in genetics, genomics and biotechnology. Especially, but not only, genetic disorders are represented within EGAN.